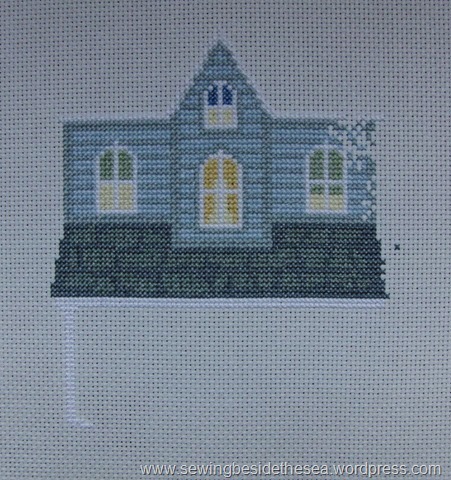 I’d like to introduce another cross stitch project that has been waiting in the wings for a few months. 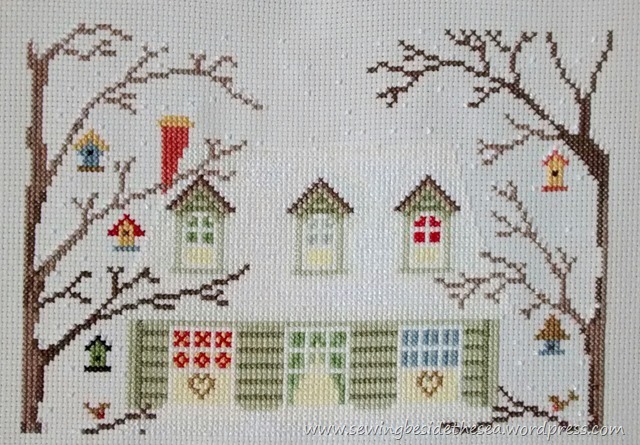 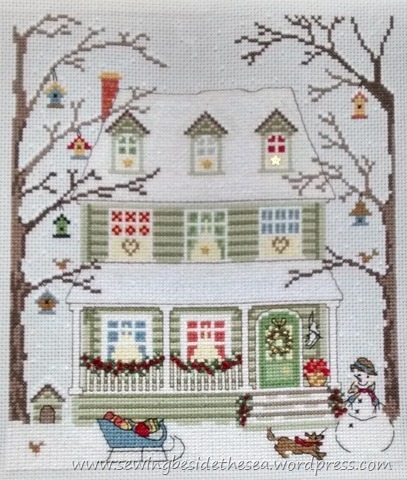 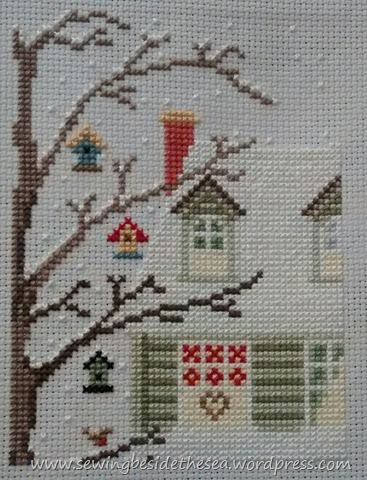 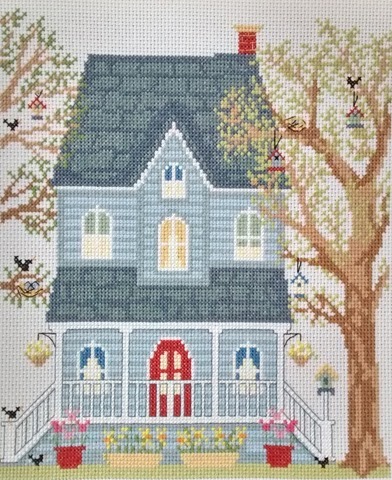 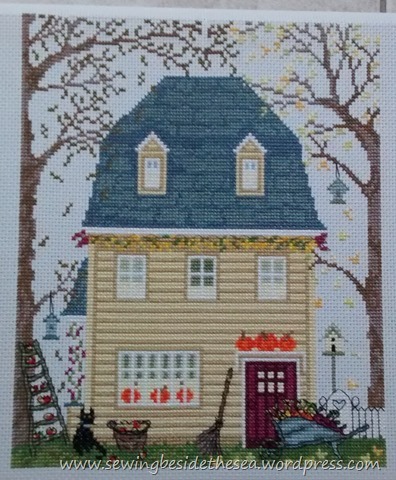 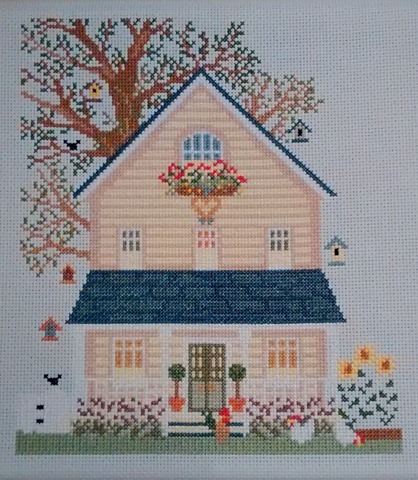 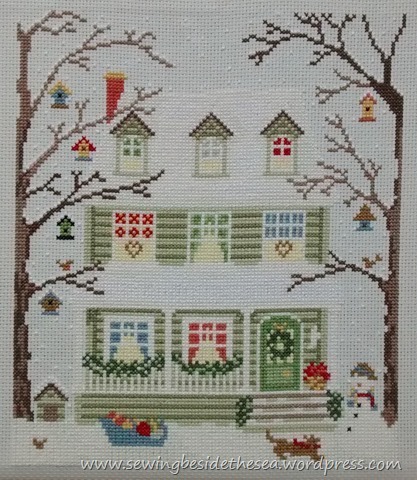 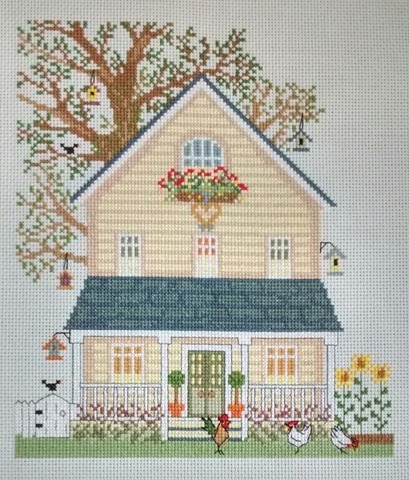 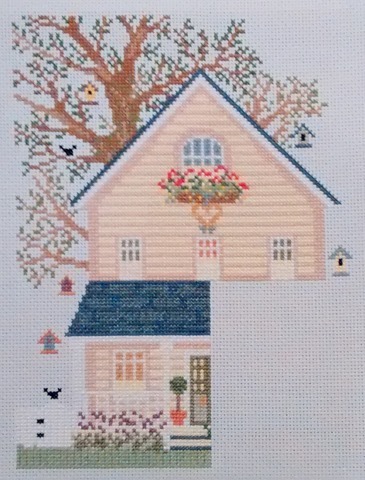 It’s one of the New England homes kits by Bothy Threads, designed by Sally Swannell. 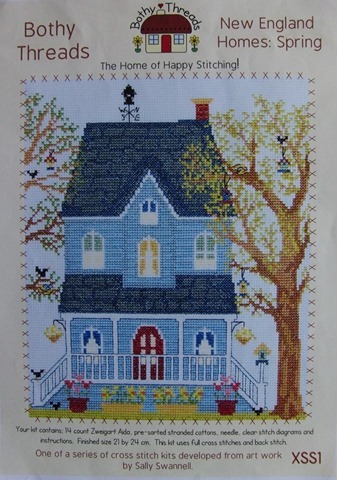 I thought it would be nice to get on with this one as it features the Spring time house. 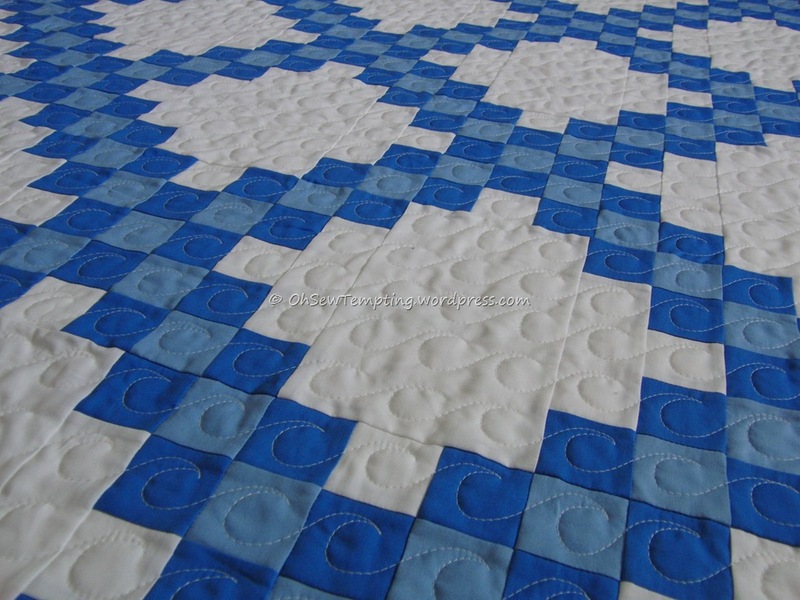 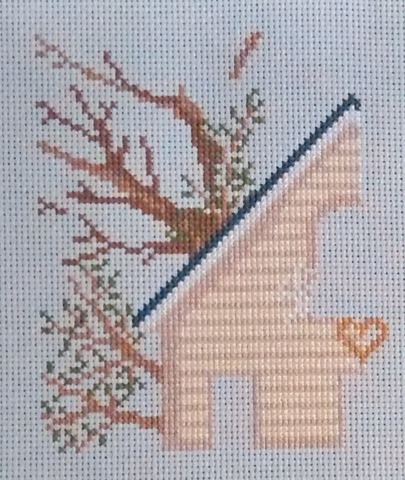 I imagine this design will stitch up quite quickly (if I get on with it) as the fabric is 14 count aida. 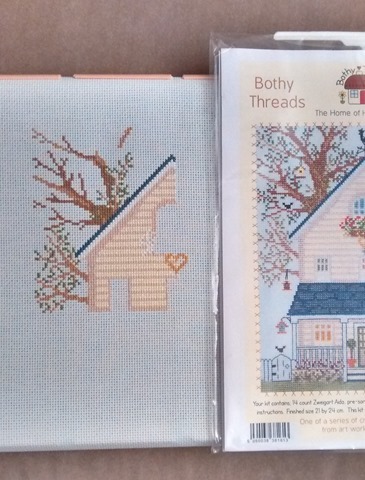 The chart is really clear, as is usual for all the Bothy Threads kits that I’ve stitched so far. 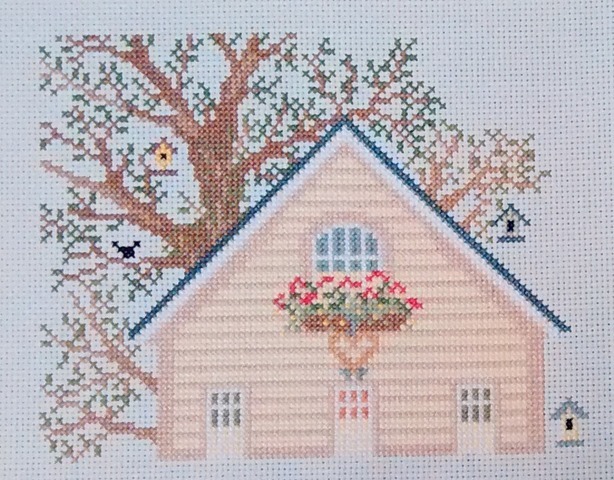 The finished size should be 21 x 24 cm so it isn’t huge. 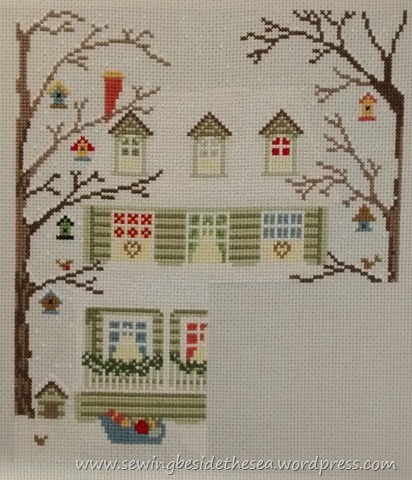 Here is my progress to date.